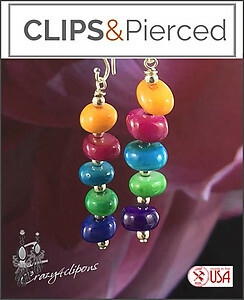 Features: Showcase your fun-side with these colorful, charming clip on earrings. 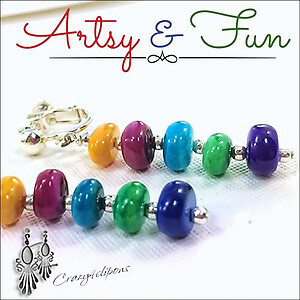 Multi-colored dyed mother of pearl beads accented with silver seeds. Surely a lovely clip on earring pair to brighten up your day. Available for pierced and non-pierced ears. Specs: Mother of Pearl Shell beads, plated metal findings.